BASSETERRE, ST. KITTS – Local nurses are said to be fuming over the lucrative contracts given to 17 Pilipino nurses by the PLP/CCM/PAM coalition government of Prime Minister Dr. the Hon. Timothy Harris. Well-known Nevisian, Everton “Obi” Elliott in a FaceBook posting Monday said nurses in St Kitts are very, very disgruntled. “They are so disgruntled that they (are) coming to me asking me to speak out on their behalf. It has gotten to the point where some are calling in sick. I was told many nurses including a few supervisors called in sick over the weekend. They had to call in nurses all weekend on their off day to stand in for those who called in sick,” said Elliott, popular on the social media and who persons can confide in to share their grievances publicly. “They complaining about being overworked, under paid, unappreciated while being bullied and disrespected by upper level management as high as the ministerial level. They said they have double the work as nurses in Nevis as most of Nevis patients even those down to common child birth are transferred to St Kitts,” said Elliott. “One nurse inbox me saying, ‘all of Nevis critical cases including psych cases come to St Kitts. You think it easy to work like a dam slave in 2016. No lunch break. Leaving 1 to 1.5 hrs late every day with no over time while the public lamenting because dey not getting proper attention?,” he reported as being told. He also reported based on information that two nurses were on the Medical Ward with 30 patients at St. Kitts’ J. N. France General Hospital. ‘What additional training and skills could they have acquired that our local nurses don’t have to be paid at such high scale?,’ another nurse said. Former health minister Dr. Earl Asim Martin said last week that the administration of the health sector is at its lowest in the past 25 years and the situation has become frightening not only to those who have worked in the sector or are working in the sector, but those who have expectations of good quality healthcare at all health institutions. Dr. Martin pointed that the main cause of what has become a dysfunctional health ministry, to the continued infighting between the two ministers – Minister of Health, Hon. Eugene Hamilton and his Minister of State with responsibility for Health, Sen. the Hon. Wendy Phipps. “It is no fault of the healthcare providers as there are persons in the sector who are working very hard to ensure that there is good quality healthcare, but we have a junior minister who thinks that only the junior minister is in the Ministry of Health and who sees herself as the Senior Minister, acts as if she is the Prime Minister; functions as the Permanent Secretary, as the Chief Medical Officer, as the Administrative Officer, as the Principal Nursing Officer, as the Matron at the J N France General Hospital at times and also as the Medical Chief of Staff. Basically, she is carrying out all of these functions within the ministry,” said Dr. Martin during Wednesday’s edition of “Issues” on Freedom FM and Kyss FM. 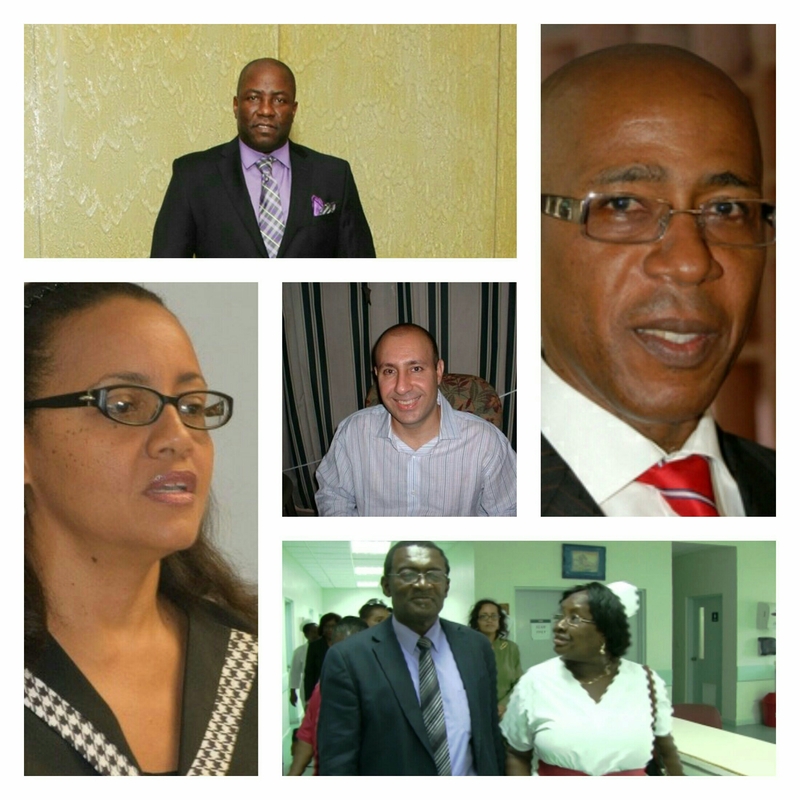 Dr. Martin, a two term Minister of Health in the past St. Kitts-Nevis Labour Party Administration lamented that the Ministry of Health has lost two permanent secretaries and has had two Chief Medical Officers during the past six months. He also pointed out that the JNF Hospital does not even have pain killers to give patients after surgery. He said too that other shortcomings include the CTScan and EKG machines not functioning for months and late serving of meals to patients with those suffering from diabetes getting breakfast at 10 am or 11 am. Recently the Federation’s leading internist at the J N France General Hospital, Dr. Bichara Sahely in a FaceBook blog weighed in on the issue, which has been in the public domain for several months. “I returned to a very toxic environment with colleagues verbally arguing and insulting each other which added to worsening despondency in my psyche knowing fully-well this does not bode well for comradery and morale among the medical fraternity. This became an existential crisis for me, as not only was I in physical pain, I started to question again, for the fourth time, whether it was time to unplug from this dysfunctional civil health service and concentrate on my own physical, mental, social and spiritual health and wellbeing, and that of my family and private patients who also suffered from the unintended consequences of my physical incapacity,” wrote Dr. Sahely. The Dr. William Connor Primary School Is The 2017 RAMS Primary School Champions.